Image of the Dual-director dipole-fed short backfire. The short backfire antenna was first reported by Ehrenspeck in 1965. 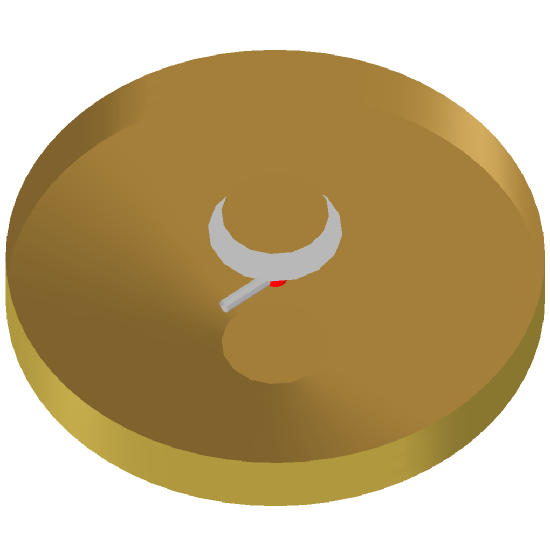 The basic short-backfire antenna consists of two planar reflectors of different diameters separated by one-half wavelength forming a leaky cavity resonator with radiation normal to the smaller reflector. 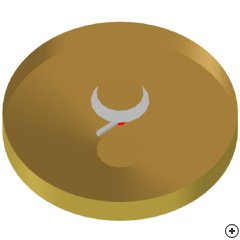 This antenna is the modified version where the flat disc has been changed into a shallow cone with outer rim; and where an additional director disc has been added.